Music by John Lennon is based on his own experience and insights from his therapy. 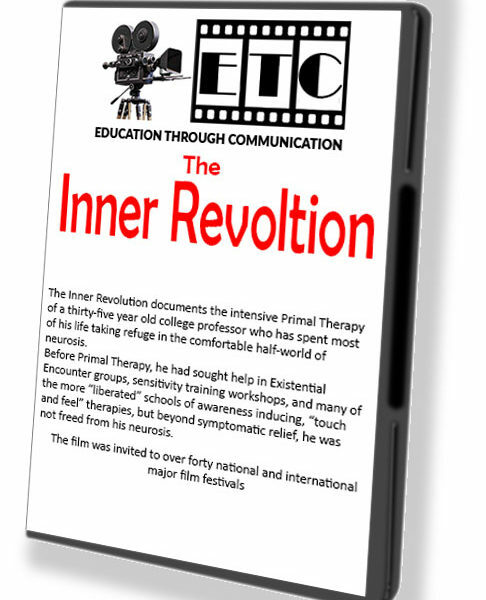 The Inner Revolution documents the intensive Primal Therapy of a thirty-five year old college professor who has spent most of his life taking refuge in the comfortable half-world of neurosis. Before Primal Therapy, he had sought help in Existential Encounter groups, sensitivity training workshops, and many of the more “liberated” schools of awareness inducing, “touch and feel” therapies, but beyond symptomatic relief, he was not freed from his neurosis. 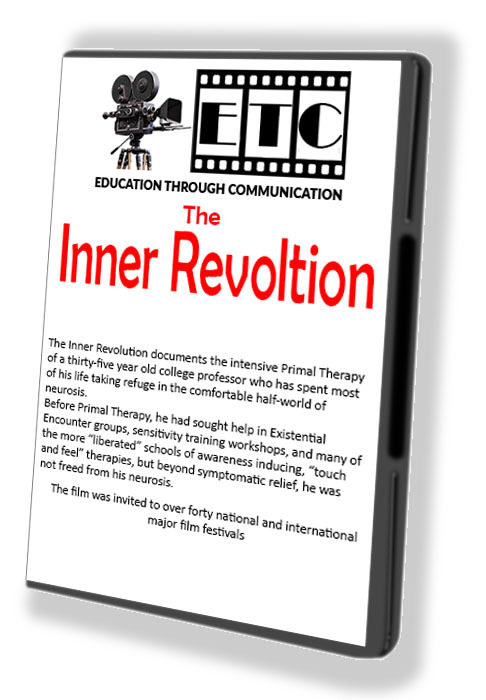 Through Primal Therapy, he experiences an Inner Revolution. Not merely able to function in socially acceptable ways, he emerges instead whole, real, with deep internal unity, no longer dependent on acting out a neurotic life-style. Divorced, with two children, he is from a small Ohio town, often called the All-American City. Fittingly enough, dissecting him is very much like dissecting America. If there was a typical American, He would be it; loyal, church going, industrious, tense, and “dead”. He wasn’t getting much out of life; it all seemed so empty and without meaning. Most of the film concerns the three weeks of his daily sessions in Primal Therapy. The film also follows his return home to Ohio and his encounter with his parents after much of his therapy had been completed. It should be emphasized that no part of his therapy experience was staged for this film, and the permission to document his therapy was unconditional. His full history is found under his pseudonym, Tom, in the book: “The Primal Scream”, by Arthur Janov, PhD, the therapist in the film. The above covers most aspects of the film and the tie-in with the book. 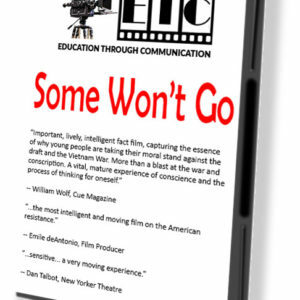 The film is Black and White; running time 85 minutes; on DVD.